Fame has a familiar pattern. It starts as talent, becomes popularity, explodes into true fame, and then takes its toll on its owner in the form of drugs or ego. Still Bill gives us the exception that proves the rule. Bill Withers wrote and sang some of the most memorable songs from the seventies. Lean on Me, Use Me, and Just the Two of Us, to name a few, have survived the test of time. But his rise to fame doesn’t follow the conventional pattern. He was a mechanic for the airline industry throughout his 20s, doing something with airline toilets. He’d write songs in his head at work and write them down at night. It wasn’t until he was in his 30s that he finally started getting recognized for his music. And even then, his coworkers wouldn’t necessarily connect their colleague Bill Withers with that voice on the radio. Then in the mid-1980s, Withers stopped recording. Now in the late oughts, it’s been 25 years since he stopped, and filmmakers Damani Baker and Alex Vlack ask Bill to reflect on his life and fame. It would be easy to imagine a morbid, where-are-they-now fascination with someone like Withers, who had great fame and success and then gave it up. But Still Bill doesn’t have that train-wreck feel. Instead it feels like a movie that gives Bill Withers the space to reflect. And it feels like Withers himself has some wrestling with fame demons to do. Bill wonders what it would be like to be out there, making music, working, as a 70-year old man. But he’s happy to take life one day at a time, to travel back down memory lane with the documentary filmmakers, revisiting his home town, reconnecting with old friends on a porch, and attending tributes and fundraisers. Still Bill introduces us to his daughter, also a musician, who had to go through her own struggle with her father’s reputation. Bill was an honest critic, even of his daughter. Sometimes she just wanted encouragement and not a critique, but that’s not always what she got from him. But now, she seems to be comfortable with herself and her music, and as a nice final act to the film, Bill hears her sing in his music room one day, and he seems to hear something there that inspires him to work. Before long the film shows us Bill turning on the various components in his basement studio, calling an old friend to work on some lyrics — something in Spanish he’d been mulling for years — and inviting his daughter to play and sing her own music on his shiny, hardly-used studio equipment. 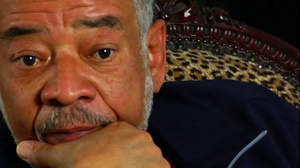 The documentary seems to have changed Bill Withers’ life, even as it was documenting his life. The question of fame seems to have been eating at him more than he cared to admit, and the documentary seems to have brought it out in him and his friends. Rather than making the movie the subject of the movie, Baker and Vlack let Bill do his own reflecting and growing in front of their cameras. The subject of fame and work isn’t quite at the surface of Still Bill, but you’ll find it if you’re reading between the lines. And having substance between the lines is a very good trait in any film, documentary or otherwise.